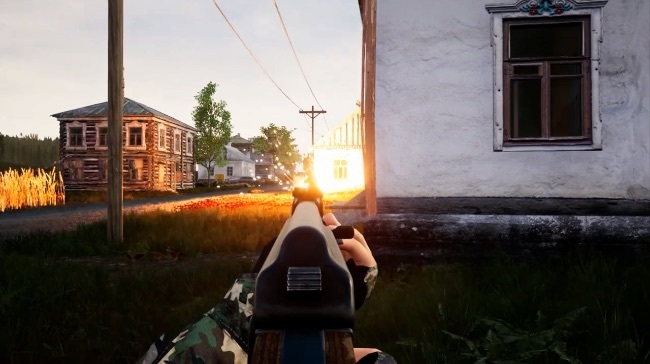 Currently in development by one man dev studio Polygon Art, Beyond Enemy Lines 2 looks set to build on the tactical first person military shooter gameplay of the original and introduces online multiplayer modes too. The single-player game will see you taking on the role of a lone operative who must use tactics and skill to complete large nonlinear missions behind enemy lines. There are 20 different weapons, each with 9 unique attachments that that allow you to modify your weapons to be able to deal with all types of combat situation. It’s the new multiplayer component of Beyond Enemy Lines 2 that will be the subject of the Alpha testing. There are currently three planned multiplayer modes – Conquest, Team Deathmatch and Co-op. The 32 player Conquest mode will be similar to that of Battlefield, with players fighting for control of key objectives. Team Deathmatch is self explanatory and the Co-op mode will allow up to four players to fight against AI soldiers in specially designed or randomly generated missions. All modes will have bot support and a choice of dedicated or peer-to peer servers. It’s a great looking game that looks set to deliver a satisfyingly tactical take on the military PFS where choices matter and thinking is just as important as shooting skill. Sign up for the Alpha to be one of the first behind enemy lines. Sounds like an interesting change as most games go down the battle royal mode, think this will be. A refreshing change to the boring copy cat games that are out at the min.